A magical garden will feature the procession, flying expandable characters and a huge bubble party. The first Sharjah child and Youth Friendly Carnival will be held on November 19. 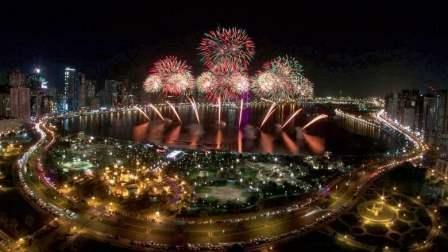 Fireworks will brighten the night sky and a 1-km demonstration will set off in Sharjah as the emirate marks its ‘Child-Friendly City’ title. In additionally, live music will be presented. The procession will feature a magical garden, huge bubble party will be arranging with flying inflatable characters. The festival will be held and begin its journey on Al Buhaira Road opposite the Al Noor Mosque at 3:00 pm, and will continue until Al Majaz Waterfront. The night will come alive with the fireworks demonstration after the sunset. Executive Director of the Sharjah Baby Friendly Office (SBFO) said. "This is a great opportunity for the community to unite, celebrate our children and youth, and recognize Sharjah's achievements to create a nurturing environment for them." ‘Child-Friendly City’ (CFC) by the United Nations in recognition of its outstanding efforts and accomplishments in the protection and development of children’s right, Sharjah was recently named. The Flying Dreams: A variety of inflatable characters into the sky. Bubble making: Entertainment by the colorful performance in bubble-dress. Magical garden: The images and variety large flowers and plants will come alive and turn all the city green and beautiful.